Keystone Lintels opens first design, production and distribution facility in Cookstown. Keystone Lintels gains the majority share of the Irish Lintel Market. Keystone Lintels opens first distribution depot in Birmingham. Keylite Roof Windows begins manufacturing in Cookstown. Keystone Lintels relocates to a large distribution centre in Swadlincote, South Derbyshire. Keylite Roof Windows opens UK distribution warehouse in Swadlincote. Keystone Lintels acquires IG Limited & Acier Building Components. Keylite Roof Windows establishes “Keylite Polska” in Zambrow, Poland. IG-GRP Building Components is formed. smartroof, the leading brand in roof panel technology became part of The Keystone Group. IG Masonry Support Systems is formed. 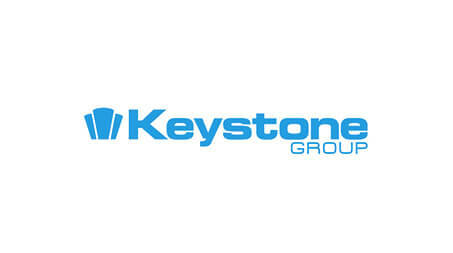 The Keystone Group is the UK & Ireland’s largest Steel Lintel Manufacturer. Keylite Roof Windows is the UK & Ireland’s fastest growing Roof Window manufacturer.